Pulled groin for Ross per Marvin. He tried to stay in but they shut him down. He's been on the injury report with a knee and Beasley is one of the best speed rushers in the game. Him barely holding Beasley off isn't bad. This was roughing the passer on Carl Lawson. Seriously. #Bengals convert third-and-seven with this 38-yarder between Andy and A.J. with 8:44 remaining in the first. 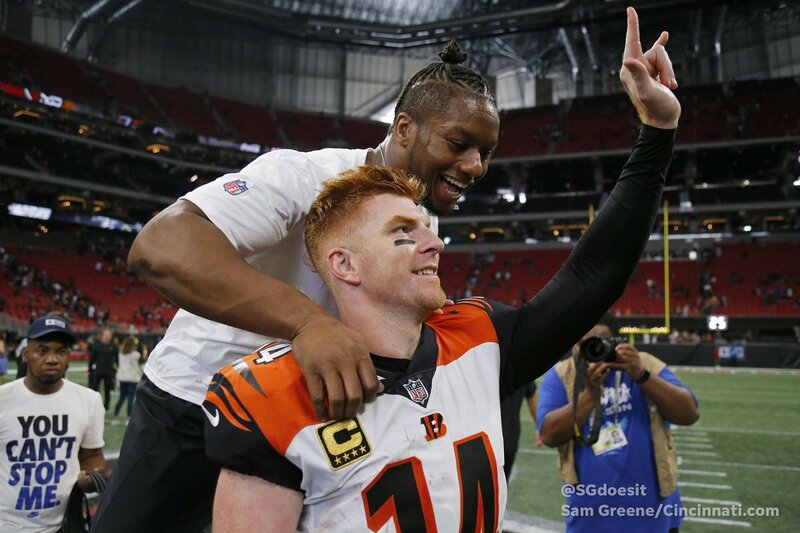 Bengals respond with a 15-yard TD from Dalton to Eifert with 7:23 remaining in the first. Tied at seven. Bengals take a 14-7 lead on Giovani Bernard's 10-yard run with 12 seconds remaining in the first. Mark Walton with a nice spin move and 24-yard gain. I added my best Chris Berman sound effect. 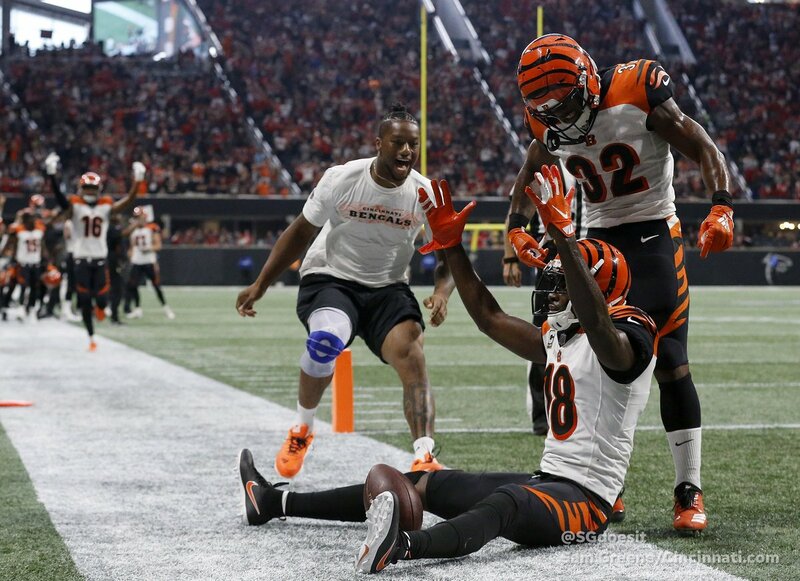 Bengals take 21-14 lead on John Ross 39-yard TD reception (saaaaay what?). Ross limps back to the sidelines. Bobby Hart called for illegal hands to the face, negating an A.J. Green TD. Seriously. 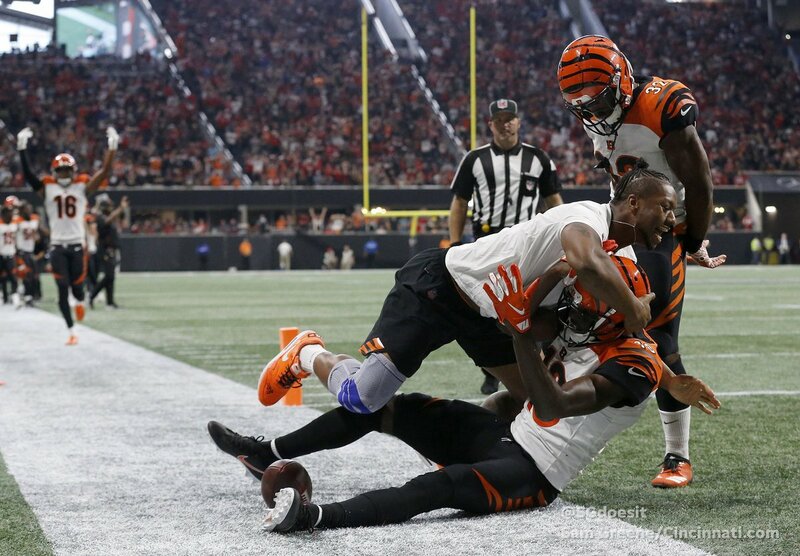 Bengals take a 37-36 lead with :07 remaining in the game! A 13-yard pass to A.J. Green. A couple of players talked to Tyler Eifert after the game. He was still at the stadium in the training room. Marvin Lewis didn't give an update as to the severity of the injury, but I'm not sure how much he even knew at that point. He's done for the year.